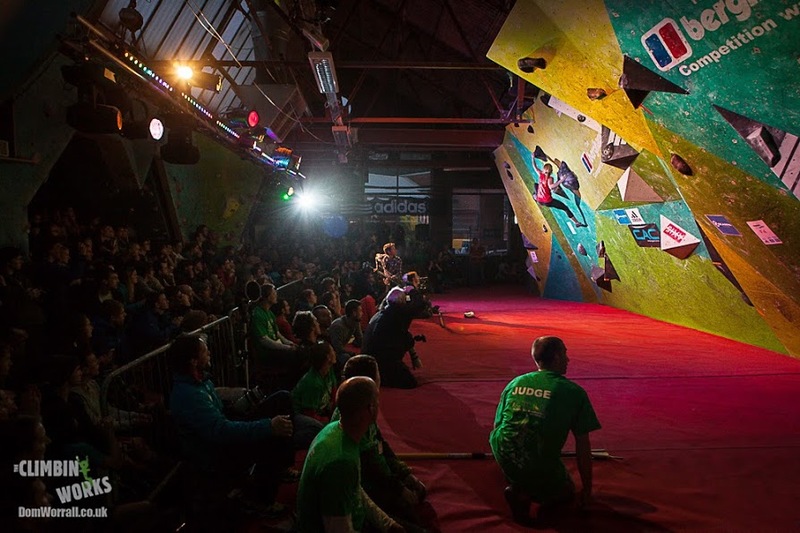 CWIF, Tierra Boulder Battle and a Crowd Funding Venture! 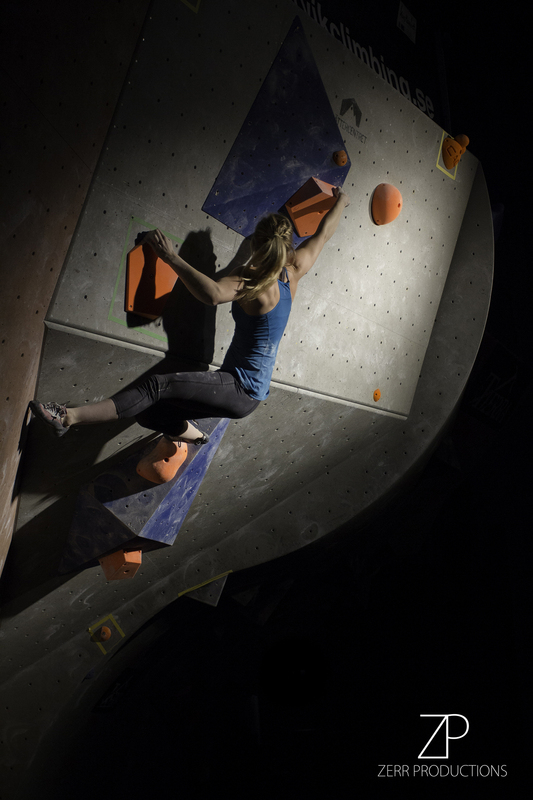 Writing this now, the CWIF seems a long time ago! I was looking forward to it this year and I was also nervous to see how it panned out. 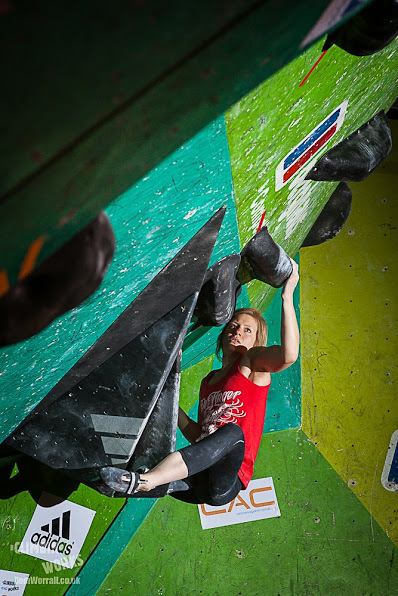 In the 2013 competition season I struggled with insomnia quite a bit and the CWIF weekend last year was when it started. Normally I am great at sleeping, but something about competitions brought out anxiety and I just couldn’t nod off! So this year I wasn’t just nervous about the competition but nervous about whether it would again be the start of a sleep struggle. Luckily, the weekend came and went and I slept like a baby, I have to say I was very relieved! The actually competition felt different to usual, there was a much bigger foreign contingent than previous years and I knew that it was going to be a push to make finals….so I made that my goal. I made some mistakes in the semis but managed to scrape through in 5th. Happy to have made it in, I relaxed and really enjoyed the experience of finals. I climbed well on some problems and not so well on others but I surprised myself and was happy to end up on the podium in 3rd place! 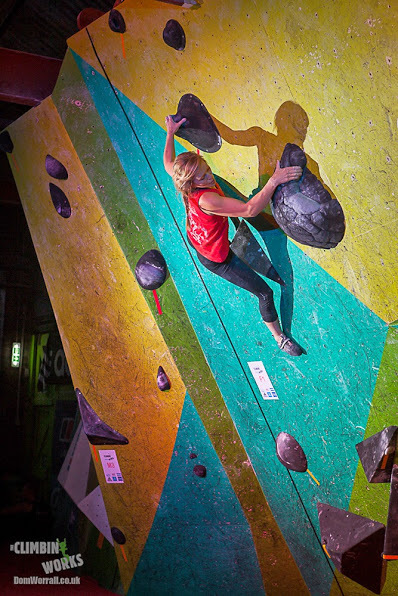 Not very long after the CWIF, I found myself en route to Stockholm again to take part in this year’s Tierra Boulder Battle. I went to this event last year and I would always go back! Everyone there is really friendly and I know I am going to have a fun weekend. We arrived on Thursday and it was straight to setting. 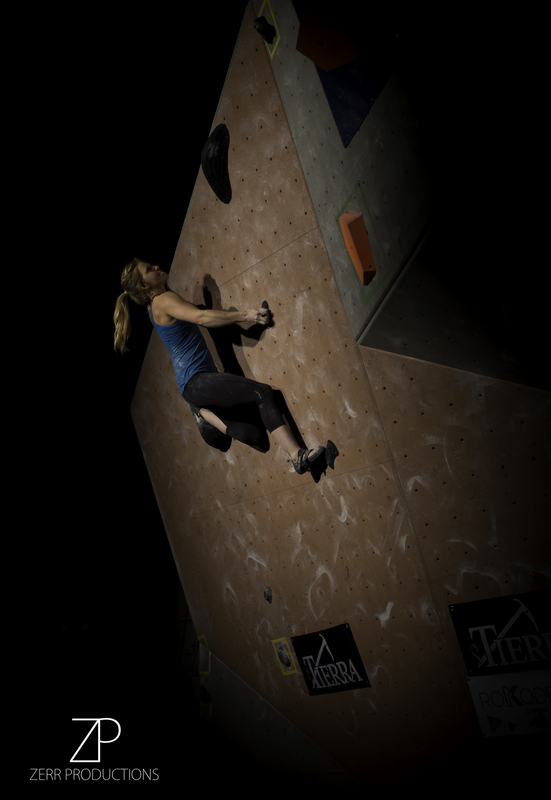 In this competition, the 6 girls (Alex Puccio, Mina Markovic, Hannah Midtboe, Minna Almqvist, Monika Retschy and I) all set one problem each, we test them all and then we compete on them on Saturday night. 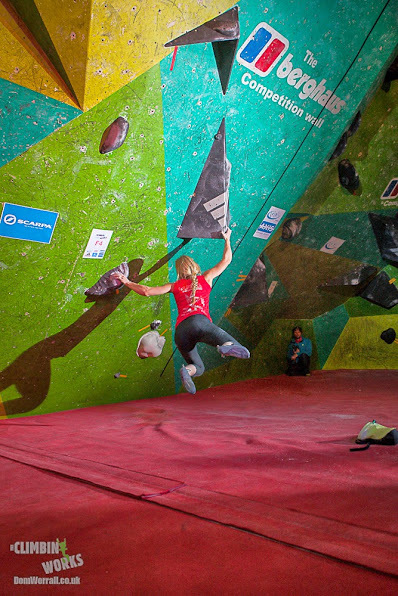 This format makes for an interesting competition and adds a really unusual component to competition climbing. The problems are a lot harder and generally more basic than in normal competitions purely because we get to work them. This weekend doesn’t feel that competitive to be honest, it was actually a really nice opportunity to make or solidify friendships and have a laugh with the other girls. The other best thing for me in this competition was actually the setting. I don’t set very often and I wouldn’t normally say I was great at it (I wasn’t particularly proud of my problem last year) but this time I was really pleased with what I produced! The creative side of me satisfied, it was time to try the other problems! In the practice I really struggled. I was tired from travelling and a week of training and I was nervous about the competition, anticipating a slightly embarrassing inability to get off the ground! We had two rest days and miraculously, I felt a lot better when it came time to compete. I actually wasn’t that happy with my climbing in the competition but it was better than the practice session so I can’t complain! It also gave me some really good pointers for what to work on in my last few weeks before the World Cup circuit starts. Now, speaking of World Cups, the GB team has had a very unusual experience in the lead up to the season this year. We lost a big chunk of funding due to one of the team sponsors being unable to fulfil their side of the contract and this happened just six weeks before the season started. Team members had already gone through selection and funding had already been allocated, which then had to be withdrawn. I was still really keen to compete in the season; I had put a lot of time and energy into training, as had many other team members who were now faced with dropping out. So….with some trepidation we launched a crowd funding campaign to see if we could raise the money back. We were very unsure from the start about whether this was a a) a good idea and b) would actually work. In the UK, competitions have not always had the best reputation and haven’t always been considered a worthwhile venture by many. Bearing that in mind, we were sticking our necks out a bit in asking for help. So, my god, we were shocked when we hit our £8000 target in 24 hours! It was supposed to run for six weeks and we were left a bit stunned. The response was immense and financially it put us back on the map as a team. It meant more than the finances though. It was a huge statement from our community. As a group you told us that you value us, that you think we are good enough and that you are there with us, invested (literally), in our goals. As (Dave Prince) talks about in his really nice piece – that confidence, that belief, could well be the extra 1% we need. So thank you, for getting us there and for giving us the confidence to perform.